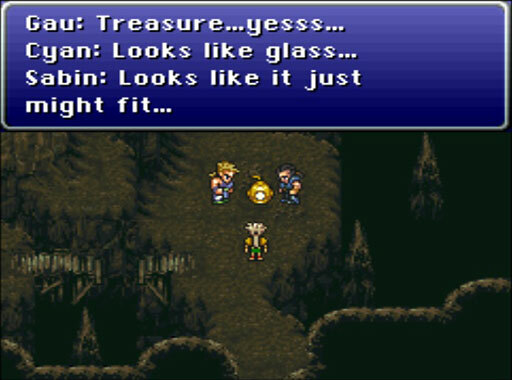 Published July 20, 2013 at 512 × 380 in Final Fantasy VI Recap, Ep II: Are We There Yet? I’m pretty sure a diving helmet needs a hose or something to work. Also, one helmet for three people?